Exploring the nexus of American Studies and the Medical Humanities, this book examines the interdisciplinary interfaces between disease and American cultures and literatures. It traces the appropriation of yellow fever to legitimize the young nation and its embeddedness in discourses of race and gender from the late 18th until the end of the 19th century. Previously untapped textual and visual archives provide a heterogeneous base of canonical as well as previously disregarded works that are analyzed for yellow fever's metaphorical and actual potential of risk and crisis. 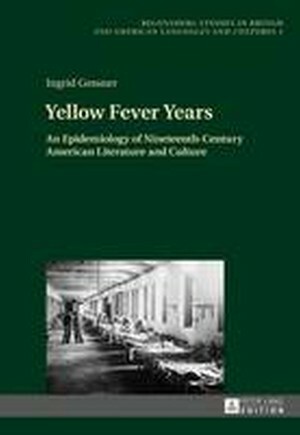 As a literary history of yellow fever epidemics, it firmly establishes the ideological, socio-political, visual, and cultural processing of the disease, which figures as invasive, inexplicable Other. Yellow Fever Years has received the Peter Lang Nachwuchspreis 2015.